Five friends go to a cabin in the woods for a vacation. They discover The Book of the Dead and a tape recorder belonging to a professor, who also owns the cabin. One of them plays back what is recorded on the tape-- which just happens to be Candarian resurrection passages translated from the Necronomicon (Book of the Dead) by the professor, which unleashes an evil force from the woods. 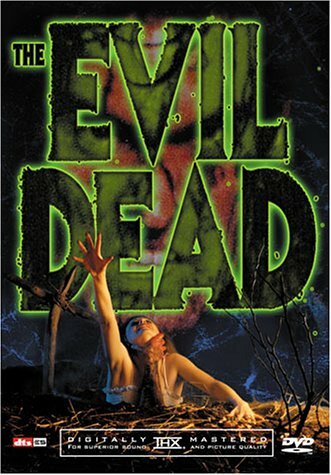 The people start turning into evil deadites, and the others soon learn from the tape that the only way to kill a person who is turned into a deadite is by total body dismemberment. People are dying left and right; one girl early in the film looses control and runs off into the woods, only to be raped and killed by the trees. The classic video nasty and cult smash. Highly recommended viewing!